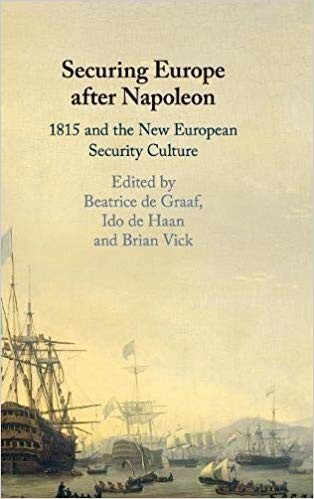 Author(s) : DE GRAAF Beatrice, DE HAAN Ido, VICK Brian E.
After the French Revolution and the Napoleonic Wars, the leaders of Europe at the Congress of Vienna aimed to establish a new balance of power. The settlement established in 1815 ushered in the emergence of a genuinely European security culture. In this volume, leading historians offer new insights into the military cooperation, ambassadorial conferences, transnational police networks, and international commissions that helped produce stability. They delve into the lives of diplomats, ministers, police officers and bankers, and many others who were concerned with peace and security on and beyond the European continent. This volume is a crucial contribution to the debates on securitisation and security cultures emerging in response to threats to the international order. Part IV – Agents and Practices.